A Core Holding Where Risk is Actively Managed for IRA, 401k Rollover, SEP-IRA, ROTH-IRA, Trust and Individual Accounts. The Issachar Fund's Risk Objective Seeks Long-Term Capital Appreciation. Independent, Active, Opportunistic, Alternative, Flexible, Tactical, Multi-Strategy, Unconstrained, No-Mandate, Long/Short, Risk-Adjusted and Portfolio Manager is "All In"! The Issachar Fund (LIONX) had a Net Asset Value (NAV) of $10.14/share on 01/04/19 with $14.9 million in Assets Under Management (AUM). LIONX has paid 87.6 cents/share in distributions since a $10.00 NAV on 02/28/14. LIONX is a No-Load Tactical Go-Anywhere Mutual Fund Available at Major Brokerages. Since Inception (02/28/14), LIONX has a Beta of 0.05 and the ML High Yield Master II Index has a Beta of 0.17 which indicates Very Low Correlation when compared to an S&P 500 Index Beta of 1. Since Inception, LIONX has a Standard Deviation (SD) of 1.01% which is less than the 3.86% SD for the S&P 500 Index and 1.11% for the ML High Yield Master II Index, indicating lower price volatility. 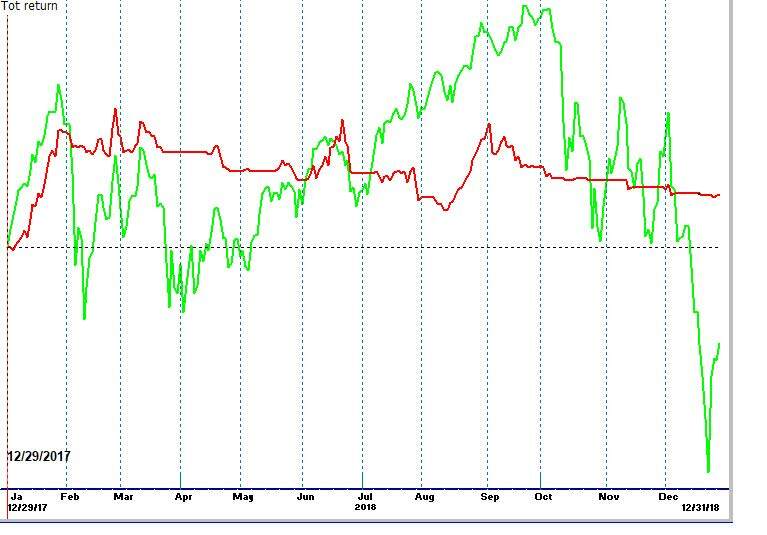 Since Inception, LIONX has an Ulcer Index (UI) of 2.32 which is less than the 3.78 UI for the S&P 500 Index and less than the 2.91 UI for the ML High Yield Master II Index, indicating a lower Draw-Down Risk. The performance data quoted here represents past performance. Current performance may be lower or higher than the performance data quoted above. Past performance is no guarantee of future results. The investment return and principal value of an investment will fluctuate so that investor's shares, when redeemed, may be worth more or less than their original cost. For performance information current to the most recent month-end, please call toll-free 866-787-8355. Total annual fund operating expenses are 3.29% (includes a 1.4% Management Fee, 0.25% 12B-1 Fee, administration and acquired fund fees of mutual funds purchased). The Fund’s Investment Adviser has contractually agreed to reduce its fees and/or absorb expenses until at least January 31, 2019, to ensure that net annual operating expenses do not exceed 2.49% for Class N, subject to possible recoupment from the Fund in future years. Results shown reflect the waiver, without which the results could have been lower. I believe that Return should always be viewed in the context of how much Risk is being taken. I am not necessarily concerned with higher Fund or ETF expenses if the Maximum Loss Risk is being actively managed to produce the return I am seeking. Fees are really only an issue in the absence of value. Lower fees do not protect a portfolio in the event of a Bear Market, but Active Risk-Management might reduce draw-downs. I try very hard to manage (control) the risk I am taking, and I let the market determine the Return (no control). 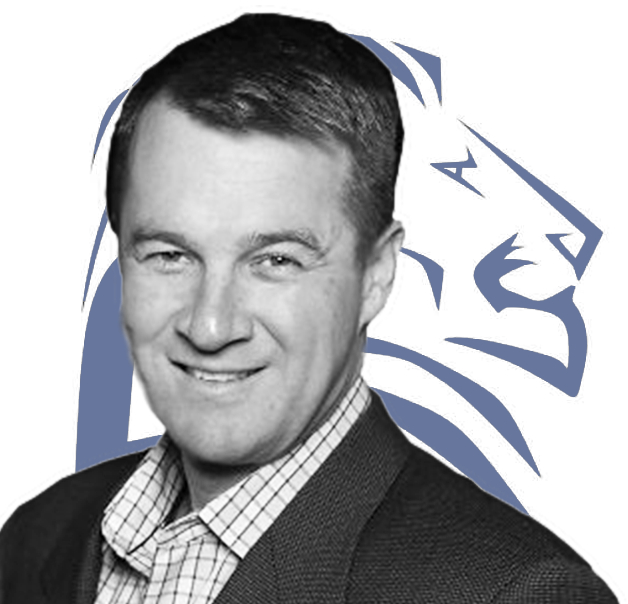 I am fully invested in LIONX and doing my best to avoid steep declines and stay invested in up-trends. Keep in mind that a 50% Loss requires a 100% Gain just to break even which is why I do not subscribe to the “buy and hold” strategy. My Story May Help You! As you have probably experienced yourself, life has a way of taking unexpected turns that lead to lessons and decisions that make us who we are today. A prank with a blast of compressed air left me with a ruptured disk shortly after high school, prompting my decision to attend college and find a new career. There, I became fascinated with computers and investing and promptly lost $10,000 trading penny stocks. At first, I thought I was the problem. So, I found an experienced broker – my dad’s best friend’s broker - and invested $26,000 of my hard-earned money. In just two weeks, half my money was gone. That left me very motivated to find out how I could be on the winning side of the trade. I made a promise to myself that I would try to never suffer excessive losses again. I focused my college studies on computers and the stock market. Soon I was putting new ideas based on technical analysis to work investing through local stock and computer clubs. I later invested my own account at a discount brokerage firm, buying and selling no-load, no-transaction-fee (NTF) mutual funds using some basic chart-analysis techniques. Since then I have spent over 28 years in the investment industry, managing client assets. Over time, as I accumulated assets and years, my focus has turned more and more to capital preservation. I still attempt to make money when the risk is low, and my indicators show the market is on a steady up trend. But when the risk/reward ratio doesn’t make sense, I turn conservative. This is the approach I take managing client monies. In fact, I invest client assets exactly the same as my own money. I watch their investments every day and I do my best to manage risk in rocky markets so that when the market is in our favor, we have the funds to invest and potentially profit from up moves. I welcome the opportunity to discuss my investment approach and results with you and I look forward to continuing my pursuit of being on the winning side of the trade. Click here to check out my new 2-minute Video where I tell “My Story”. 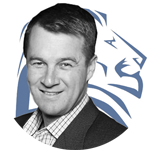 Click here to check out my latest LIONX Fund Fact Sheet. Values: Christ-Centered, Dedicated, Honest, Disciplined and Hard-Working. Vision: Seeking to avoid painful declines and remain invested in up-trends. Mission: Actively Managing Risk Since 1990 to achieve our investment goals. Incentive: I am the largest shareholder, so I have incentive to succeed. Passions: Managing Money & Understanding God’s Grace. Foundational Verse: 1 Chronicles 12:32 “[the] Sons of Issachar were known for their “Understanding” of the times….” My Pastor, Jacob Aranza, told me that I have the Gift of “Understanding” and Jesus is the “Lion of Judah” so to honor God we named the Fund: Issachar and chose the Symbol: LIONX. Actively Managing Market Risk Since 1990! There is no guarantee that any investment will achieve its objectives, generate positive returns, or avoid losses. Investors should carefully consider the investment objectives, risks, charges and expenses of the Issachar Fund. This and other important information about the Fund is contained in the prospectus, which can be obtained by calling 1-866-787-8355 or visiting www.LIONX.net. The prospectus should be read carefully before investing. The Issachar Fund is distributed by Northern Lights Distributors, LLC, member FINRA/SIPC. Horizon Capital Management Inc., National Association of Active Investment Managers, and Kingdom Advisors is not affiliated with Northern Lights Distributors, LLC. Fund Risk Disclosure: Mutual Funds involve risks including the possible loss of principal. The Fund may engage in frequent trading, leading to increased portfolio turnover, higher transaction costs, and the possibility of increased net capital gains, including net short- term capital gains that will be taxable to shareholders as ordinary income when distributed. The Fund may hold cash positions and there is a risk that the sections of the market in which the Fund invests will begin to rise or fall rapidly and the Fund will not be able to sell stocks quickly enough to avoid losses or reinvest its cash positions into areas of the advancing market quickly enough to capture the initial returns of changing market conditions. The Fund's investments in large capitalization stocks may under-perform Funds that invest primarily in the stocks of lower quality, smaller capitalization companies during periods when the stocks of such companies are in favor. Investments in small-capitalization and mid-capitalization companies involve greater risks and volatility than investing in larger capitalization companies. Small and medium- size companies often have narrower markets for their goods and/or services and more limited managerial and financial resources than larger, more established companies. The Fund is non-diversified, which means it invests a high percentage of its assets in a limited number of securities. A non-diversified fund's NAVs and total returns may fluctuate more or fall greater in times of weaker markets than a diversified mutual fund. The Fund invests in debt instruments which have varying levels of sensitivity to changes in interest rates, credit risk and other factors. Many debt instruments are subject to prepayment risk, which is the risk that the issuer of the security will repay principal prior to the maturity date. The Fund could lose money if the issuer or guarantor of a debt security goes bankrupt or is unable or unwilling to make interest payments and/or repay principal. Changes in an issuer's financial strength or credit rating also may affect a security's value and have an impact on Fund performance. The value of the Fund's investment in fixed income securities will fall when interest rates rise, and the effect of increased interest rates is more pronounced for intermediate-term or longer-term fixed income obligations owned by the Fund. The Fund will invest a significant portion of its assets in securities that are rated below investment grade or "junk bonds." Junk bonds may be sensitive to economic changes, political changes, or adverse developments specific to a company. These securities generally involve greater risk of default or price changes than other types of fixed-income securities and the Fund's performance may vary significantly as a result. The floating rate loans in which the Fund invests are usually rated below investment grade and are generally considered speculative because they present a greater risk of loss, including default, than higher quality debt securities and may be less liquid than higher rated debt securities. The value of the Fund's asset-backed securities may be affected by changes in interest rates, the availability of information concerning the interests in and structure of the pools of purchase contracts, financing leases or sales agreements that are represented by these securities, the credit worthiness of the servicing agent for the pool, the originator of the loans or receivables, or the entities that provide any supporting letters of credit, surety bonds, or other credit enhancements. The Fund's investment in municipal securities carries additional risk including changes in federal, state or local laws that may make a municipal issuer unable to make interest payments when due. Municipal securities backed by current or anticipated revenues from a specific project or specific assets can be negatively affected by the inability to collect revenue, for the project or from the assets. Moreover, an adverse interpretation of the tax status of municipal securities may make such securities decline in value. In addition to the risks typically associated with fixed income securities, loan participations carry other risks, including the risk of insolvency of the lending bank or other intermediary. Loan participations may be unsecured or not fully collateralized, may be subject to restrictions on resale and sometimes trade infrequently on the secondary market. The Fund uses investment techniques, including investments in futures contracts, forward contracts, options and swaps, which may be considered to be an aggressive investment technique. Investments in such derivatives may general be subject to market risks that may cause their prices to fluctuate over time and may increase the volatility of the Fund. The use of derivatives may expose the Fund to additional risks that it would not be subject to if it invested directly in the securities underlying those derivatives, such as counter party risk and the risk that the derivatives may become illiquid. The use of derivatives may result in larger losses or smaller gains than investing in the underlying securities directly. Interest rate swaps are subject to interest rate and credit risk. Total return swaps are subject to counter party risk, which relate to credit risk of the counter party and liquidity risk of the swaps themselves. There may be an imperfect correlation between the prices of options, futures, and/or forward contract and movements in the price of the securities (or indices) hedged or used for cover which may cause a given hedge not to achieve its objective. There may not be a liquid secondary market for futures contracts and Forward currency transactions include the risks associated with fluctuations in currency. If the Fund uses a hedging instrument at the wrong time or judges the market conditions incorrectly, the hedge might be unsuccessful, reduce the Fund's investment return, or create a loss. Use of leverage can magnify the effects of changes in the value of the Fund and makes them more volatile and increases the risk for loss in adverse environments. Short positions are designed to profit from a decline in the price of particular securities, baskets of securities or indices. The Fund will lose value if the instrument's price rises - a result that is the opposite from traditional mutual funds. Investments in foreign securities and securities that provide exposure to foreign securities involve greater risks than investing in domestic securities. As a result, the Fund's returns and NAVs may be affected to a large degree by fluctuations in currency exchange rates, political, diplomatic or economic conditions and regulatory requirements in other countries. The Fund also may invest in depositary receipts, including ADRs, which are traded on exchanges and provide an alternative to investing directly in foreign securities. Investments in ADRs are subject to many of the risks associated with investing directly in foreign securities. The laws and accounting, auditing, and financial reporting standards in foreign countries typically are not as strict as they are in the U.S., and there may be less public information available about foreign companies. Investments in emerging markets instruments involve greater risks than investing in foreign instruments in general. Risks of investing in emerging market countries include political or social upheaval, nationalization of businesses, restrictions on foreign ownership and prohibitions on the repatriation of assets and risks from an economy's dependence on revenues from particular commodities or industries among others. No- Load mutual funds are sold without a sales charge, however other fees and expenses do apply to an investment in the Fund. Bank of America Merrill Lynch High Yield Master II Index is an unmanaged index comprised of over 1,200 high yield bond markets. It includes zero-coupon bonds and payment-in-kind (PIK) bonds. Max Loss: Worst possible loss from any peak-to-trough decline during period. less than 1.00 implies less risk than the Index. Standard Deviation: Measures the degree of variation of monthly returns around the mean (average) return. The higher the volatility of investment returns, the higher the standard deviation will be, and a lower standard deviation implies less risk. Long: Buying a security such as a stock, commodity or currency, with the expectation that the asset will rise in value. Short: Any sale that is completed by the delivery of a security borrowed by the seller. Short sellers assume they will be able to buy the stock at a lower amount that the price at which they sold short. Ulcer Index: Measures downside risk, in terms of both the depth and duration of price declines. The indicator is calculated over a 14-day period, showing the percentage draw-down (loss) a trader can expect from the high over that period.